Peak Performance Physical Therapy is a leading provider of rehabilitation treatment for sports & orthopedic injuries, post-operative and age-related conditions. Peak Performance Physical Therapy is at the forefront of physical medicine combining highly skilled evidence based physical therapy and other rehabilitation services that gets results. Serving the greater Boston area Peak Performance Physical Therapy has provided patients with personalized care, skilled physical therapy, and places a strong emphasis on customer service. We get results. Patients and doctors alike continue to express their gratitude toward the service and individual attention patients receive. Peak Performance Physical Therapy, is not your average PT Clinic. 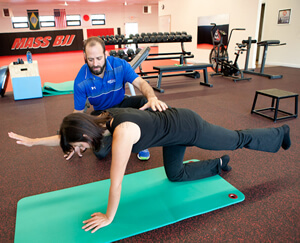 Founded by Dr. Mike Pellegrino, Peak Performance Physical Therapy is housed within MassBJJ, his successful Brazilian Jiu-Jitsu academy in Arlington, MA where Mike spends most of his time treating clients/patients and teaching Jiu-Jitsu. Mike has worked extensively in different setting with varying age groups and medical conditions prior to opening his Peak Performance Physical Therapy. It’s not about how we can fit you into our schedule, it’s about how we can get you results and back to normal safely and completely. Mike loves imparting his extensive knowledge of Physical Therapy and Brazilian Jiu-Jitsu. Combined with a highly motivated, qualified, and committed staff you can expect the best care possible. If you have tried therapy before and have been disappointed then I encourage you to call Peak Performance Physical Therapy today at one of his two conveniently located clinics in Boston and Arlington. Take the journey to recovery with Peak Performance Physical Therapy and Sports Medicine…you will see results.